Having trouble sleeping? 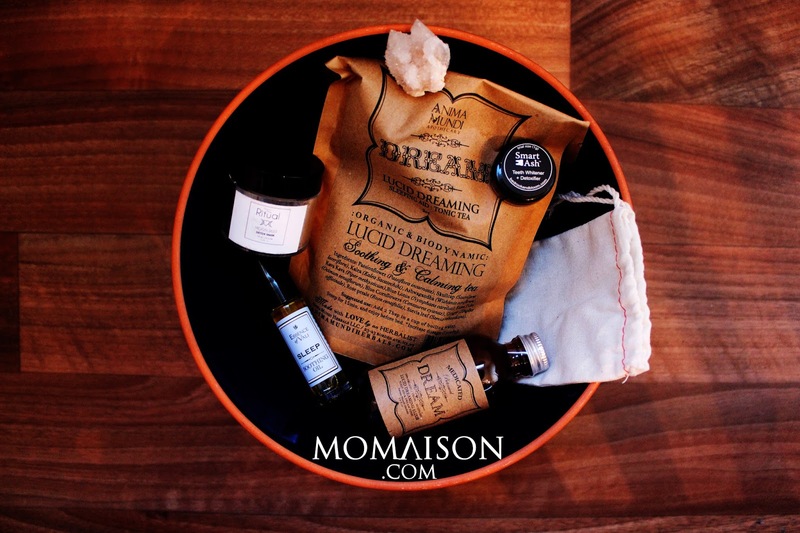 The June - Lucid Dream box from Goddess Provisions will make you forget how a bad sleep feels like! 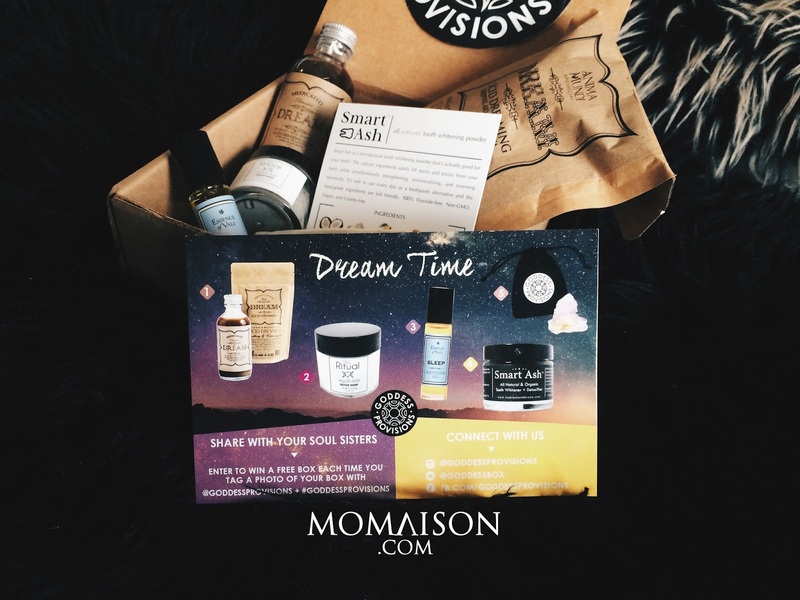 Their monthly boxes contains a mix of 4-6 full/trial sized products which include crystals, apothecary beauty, super food snacks, aromatherapy, tools for spiritual growth and tea. All the boxes are curated with love and fit for Goddesses. They have a different theme every month, from what I can tell on their Instagram feed. A pretty card showing the products and the platforms you can connect with Goddess Provisions. You can also share your box, tag @goddessprovisions and #goddessprovisions to enter a contest to win a free box! 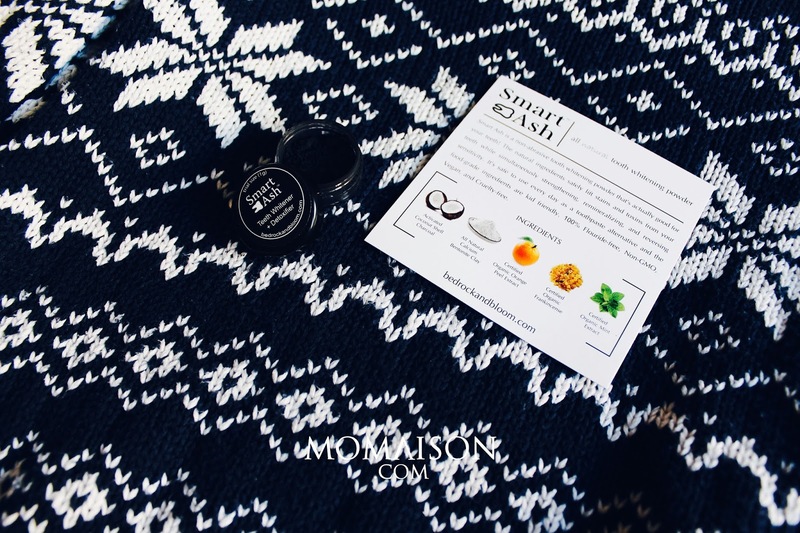 On the opposite side of the card, you can read about the products and their retail value is also stated, together with the supplier's social media platforms (if any). If you have read the 'Vegan Cuts: May Beauty Box Unbox & Review', you will realize that they are very similar. That is because Goddess Provisions was started by Vegan Cuts Co-founders Jill & John! 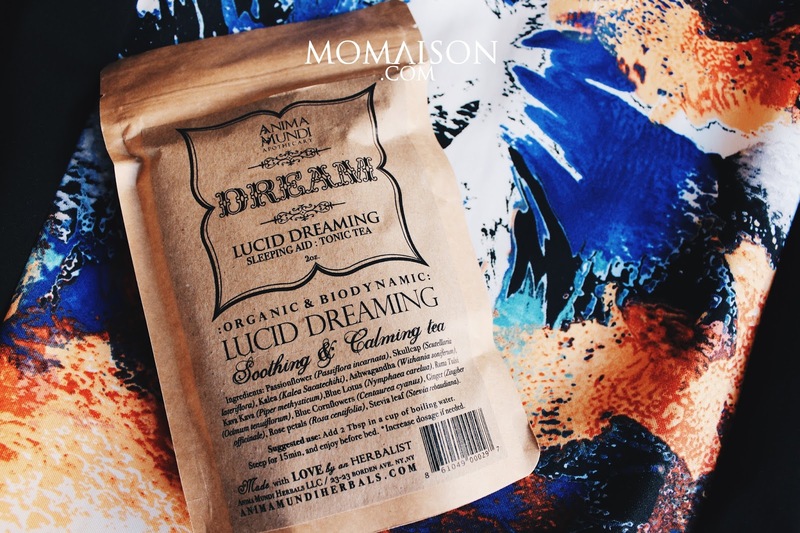 "This elixir and tea blend contain herbs known to enhance deep sleep as well as help to create a stronger dream-recall, which are the keys to building up to lucid dreaming." I have yet to try them out but judging from the ingredients in the tea blend and that they are 100% organic, vegan and biodynamic, they must taste great. It smells fragrant I can't wait to taste it! I have to say the elixir doesn't smell very pleasant though. But they're herbs so there's bound to be a 'herbally' smell which some people might not like. I'm not sure about the taste of it though but will definitely update once I've tried them. The elixir is also known as 'Insomnia's Antidote'. *If you zoom in on the picture to the right side of the bottle, you can see it. Sounds so cute/cool (yes cute and cool are like opposing adjectives but they ARE both!) Love how they call it an antidote haha! UPDATE: Ok, so Daniel tried 1 tablespoon (measuring spoon) of the antidote. He said it tasted fine and he didn't feel like spitting it out (haha!) He also said that the taste of ginger was very overwhelming so he could almost only taste the ginger. The suggested use is 1-2 tablespoons. He only had 1 tablespoon because this was quite a small bottle. If he took 2 tablespoons, it will probably only be enough for 4-5 consumptions. If you like this kinda herbal elixir, I'd advise for you to get the 4oz bottle instead. I read on their website that you can also add it to your favourite herbal tea (allow to steep for 30 mins) or to boiled grated ginger water if the taste is too intense for you. 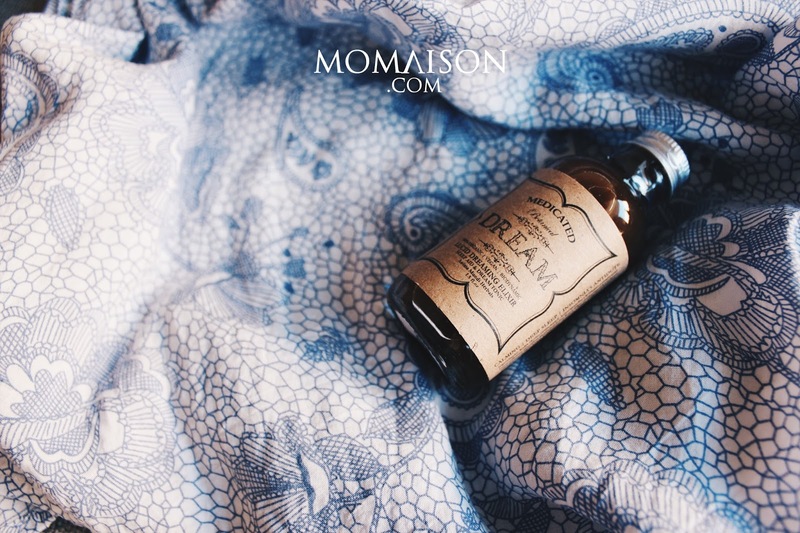 "Roll on this essential oil blend before bedtime or anytime you need to relax and you'll feel a calm wash over you as the scent of lavender, cedarwood, marjoram & ylang ylang rise." This smells really soothing and I like that it is a roll-on for easy access and usage. No pouring/spilling and wasting excess oils etc. I also love that it is 100% natural and vegan! If you're not an essential oil or incense burner kind of person but love essential oils, this is a must try! "Before you sleep, it's so important to cleanse your skin. 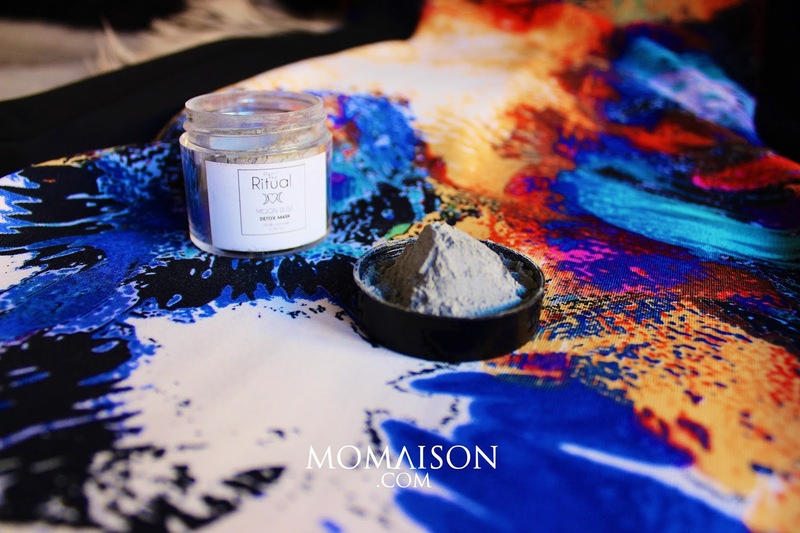 This mask is packed with natural herbs, essential oils & crushed selenite." This was my first time trying dry mask and it feels really great! It uses all natural products, which I absolutely love, especially for facial products. I read that dry masks does not require preservatives, so it is fresh everytime you use it. There're no excessive chemicals in it and you can dilute it the way you like - loose or thick. It also has a longer shelf life with no degradation of the product until you add any fluids into it. After using this, my face felt clean and smooth! "Brighten your smile the natural way, using coconut shell charcoal and Bentonite Clay to remove toxins and a herbal blend of orange, mint & frankincense to strengthen your teeth and freshen your breath." I have yet to try this as I haven't got the chance to do it in the shower. I wouldn't dare to use it with my clothes on as they are charcoal and the black from it could stain clothes badly. But I have read about the benefits of coconut shell charcoal to your teeth so this seems like a really promising product. Gonna give it a shot as soon as I get a chance (like when Hansel is taking a nap or when I can FINALLY be done with housework hahaha). 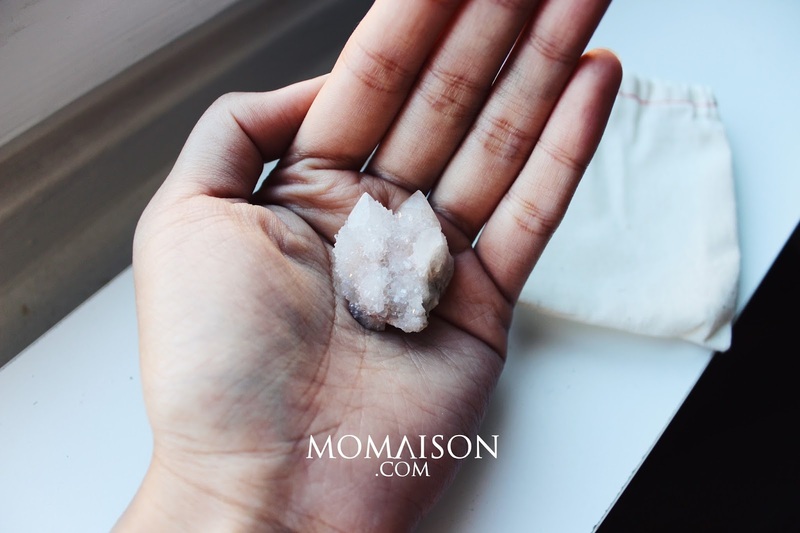 "Known as the stone of harmony and alignment, Spirit Quartz is great to keep by the entry to your sacred space." This is gonna be the start of my crystal stones collection! They are so beautiful and peaceful to look at. Makes really great home decor pieces as well. Just got to place them where you feel they give off the most spiritual energy to achieve some chakra balancing! Ask, and the Goddess provides! That's true with Goddess Provisions, isn't it? Boxes by Goddesses for Goddesses. Shipping to U.S. is free, an extra USD 10/box for Canadian shipping and USD 20/box for shipping to the rest of the world. You can cancel or pause the subscription anytime. You can find out more about their subscription plans HERE. 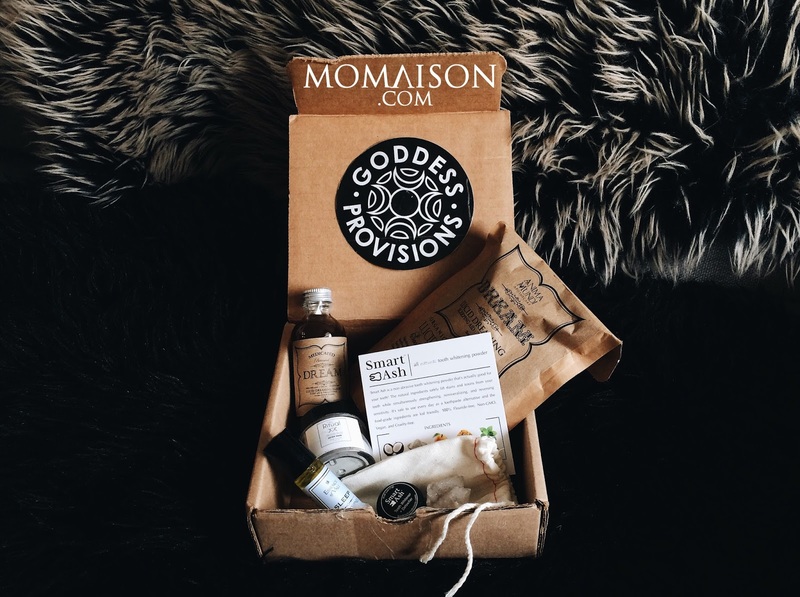 Subscription boxes are a great way to discover vegan and cruelty free beauty products! And you'll not be disappointed with the products they feature in their boxes. From this box, you can tell that they look for only the best products for their boxes. Which product(s) from their June box would you (think your partner) love to try/have the most? To stay updated with news from Goddess Provisions, like their Facebook page or follow them on Instagram @goddessprovisions. Disclosure: I was provided with June's box from Goddess Provisions for the purposes of this review. I love everything that it's included especially the tea! I think this box is perfect for people who would like to relax after a long week or a long day. It's perfect for calming down and just slowing down for a bit. 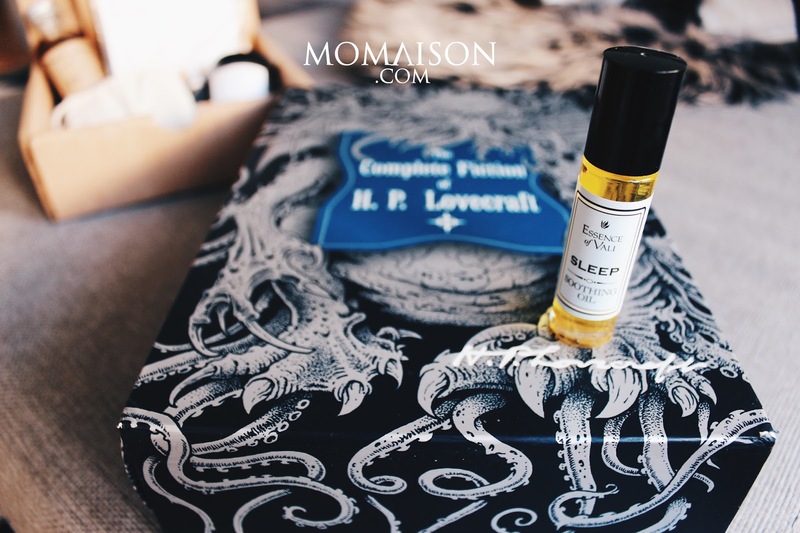 It sounds like an awesome subscription box! I love that it's focused on people who have trouble sleeping, because I've been there and it's never easy. I like everything that's included in the box, definitely! I like their packaging and presentation. They have a lot of great products available in the box. 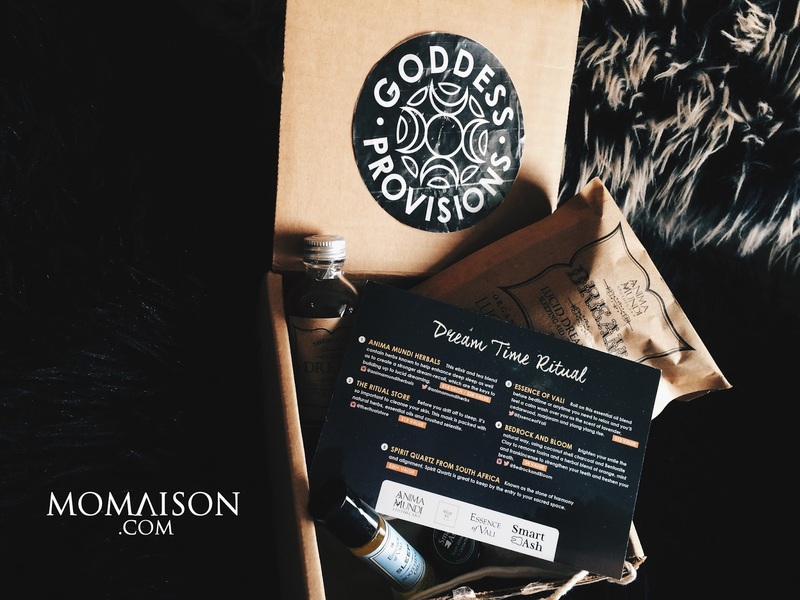 I am not familiar with goddess provisions but I believe they got smart stuff packed on their june box! Only if we have so much selection for such line of business, I would have subscribed myself for it. I love these kind of boxes. They pack so much goodness..Can get it in Singapore? ive not heard of this brand but the mask looks great. i love your photography!